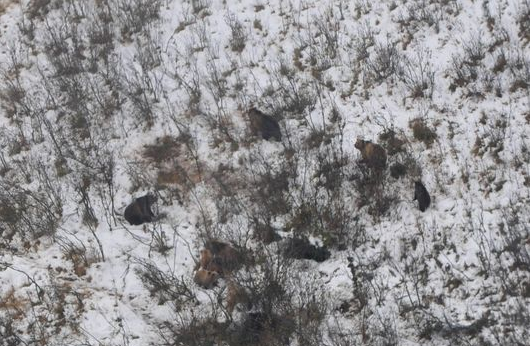 While flying over a ranch in late October, FWP bear specialist spotted 13 bears bedded down in one location on a privately owned ranch. Dan Freeman is the ranch owner, and said that the bears have never caused him or his cattle any trouble and he is aware they are there. Freeman spotted 10 bears on his land earlier this year, and has many times spotted 5 or 6 bears together.